Lesson 6 - Do You Know Danny? 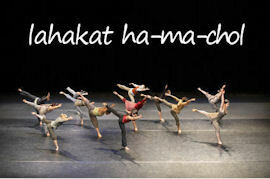 Israel is a country steeped in culture and appreciation for the performing arts. It is home to the internationally-acclaimed Israel Philharmonic Orchestra, Ha-bima Theatre, the Israel Opera, the Israel Ballet, and the Akko Theater Festival--just to name a few. Then in Lesson 6B, we will build on what we learned in Lessons 3 and 4 as Jonathan introduces us to one of the most important and unique features of the Hebrew language--the system of building blocks used to conjugate verbs. Because 90% of Hebrew verbs are in the first building block we will meet--called pa-al, we can accomplish so much just by learning this one. Cool! Lesson 6 has a little something for everyone--patrons of the arts, grammar aficionados, even Beatles fans! So listen and learn to speak Hebrew on your way out to see a show . . . or a concert . . . or a ballet. And Liat--Break a leg! behazzlacha! !